Natsuki Tamura Quartet - "Exit" / Natsuki Tamura - "Ko Ko Ko Ke"
Trumpet player Natsuki Tamura follows up the excellent jazz & avant-rock album, Hada Hada (see AI #27), with his latest quartet effort titled Exit. Returning from Hada Hada are Takayuki Kato on guitar, Satoko Fujii on synthesizer, and replacing Takaaki Masuko on drums is Ryojiro Furusawa. The album opens with the darkly atmospheric but playful "Entrance", with Tamura alternating between wailing space-jazz trumpet and a harsher sound, freaky electronics and voices, percussion and fiery bits of guitar. Throughout the album we are treated to an absorbing mixture of jazz, electro fever, avant-garde stylings and off-kilter tribal rhythmic pulse. 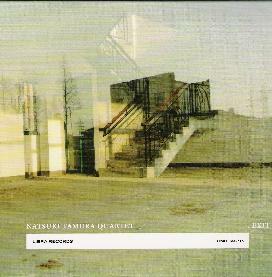 Furusawa lays down a percussion foundation while the others contribute contrasting elements, from Tamura's trademark space trumpet, to Fujii's sonic electronic experiments, which work in tandem with Kato's sometimes frantic guitar. It's an avant jazz and rock stew surrounded by a densely atmospheric and busily intense sound exploratory fog. But the exciting highlight of the set is the 26 minute epic, "Eliminate", which opens with screaming trumpet and electronics, but soon settles into a smoking avant jazz-rock groove with a head bopping beat that never sits still for a more than a minute. Kato really gets to shine on this one, rocking out on guitar and leading his band mates into a violent dueling frenzy. But right at the cusp the musician ease up, and drift into an ambient jazz and soundscape exploration. The musicians excel at communicating passionate delirium and a film score sense of chaotic thematic development. Tamura is an adventurous composer who clearly believes in a non-stop series of twists and turns, and the execution of his work by the quartet is a delight, though not for the faint of heart. It was quite a jolt going directly from the sonic roller coast ride of Exit into the melodious calm of Ko Ko Ko Ke, a solo set for trumpet and voice. I was pretty amped up on both a mental and physical level, so it took a bit of a readjustment to realize I could simply settle my mind into Tamura performing alone in the studio. But I adapted quickly. The moment Tamura began playing I was struck by the lyrical quality of his trumpet. So it just seemed to fit perfectly moments later when the trumpet stopped and he sang a few lines himself, alternating between trumpet and voice throughout the track. And indeed voice turns out to be integral to album. But this is a true solo effort so there's no overdubs of Tamura singing along with his trumpet. No… voice takes over where the composition deems it appropriate. And Tamura utilizes his voice like any other instrument, which means he could be singing, speaking, growling or otherwise producing sound. 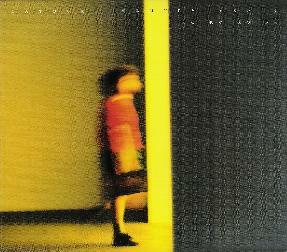 Dottie Grossman & Michael Vlatkovich's recent Call And Response album was still fresh in my mind and Tamura's voice and trumpet bears similarities to Grossman and Vlatkovich's poetry and trombone exchanges, though the Tamura album creates a much more meditative and emotional experience. Tamura solo is an enjoyable experience and I can't say I recall having heard an artist performing a solo trumet and voice set. But overall it was the excitement and adventure of the full band Tamura that lit my flame. I've given Hada Hada numerous listens since being introduced to it last year and Exit will surely make many repeat visits to my CD player.